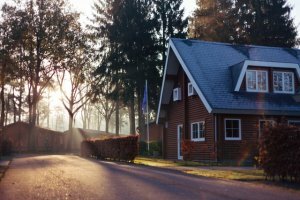 Whether you’re a personal representative, executor, heir, or family member, there are many different ways to sell an inherited house. It all starts with a well designed plan. When you contact Indy Inherited, we’ll discuss the pros and cons of each method and help you determine which method is best suited for your situation and which method will return the most value. The 3 most common ways are: Listing with one of our Realtors, selling direct to one of our buyers, or selling by auction. The Indy Inherited Team at Keller Williams Realty includes licensed real estate brokers (Realtors) that are experienced in estate and probate home sales.Not only can we sell your house, we can advise you on how to strategically prepare your house for sale. Often times, a home acquired through an estate or probate isn’t what many real estate agents consider ‘show ready’. We use our knowledge to help you get the most value when preparing your inherited home for sale. For example, in some situations, it makes sense to make updates and at other times, it can be a waste of your money. Our understanding of the different central Indiana markets enables you to make a more informed decision. Listing your house with us is usually best when the home is in relatively good shape and there are no timing or financial pressures. Selling direct to Indy Inherited is another option. You would choose a closing date enabling you to get your money quickly. There are no real estate commissions and you won’t have to pay the ‘holding costs’ such as the mortgage, taxes, insurance, repairs, and maintenance. This option tends to make the most sense when there are timing or financial difficulties such as foreclosure or tax sale, or when the house has a lot of deferred maintenance, when the house is packed with unwanted personal items, when heirs no longer want to spend the time necessary to manage the property. Families often realized that inheriting a house can become time consuming and create unwanted stress. If this has happened to you, this may be the best option. Auctions are an option and sometimes they make sense. They allow you to sell your assets on a specified date, however the results are unpredictable. We will help you determine when an auction is appropriate. Contact us and we’ll discuss your goals and timeline. We take the time to learn about your unique situation. We also analyze the house, its condition, and location. Then, we tailor a plan that suits your needs. We serve Indianapolis and the surrounding area. Get started by calling (317) 536-2575 or complete the form on this page.